SPIDEY SENSES! Tom Holland stars as Peter Parker, mild-mannered high schooler by day, crime-fighting Spider-Man by night. Glen They’ve hit the sweet spot in this Spider-Man reboot, mixing great action sequences with a funny high school coming-of-age story that humanizes Peter Parker, delivers a multilayered villain (Keaton), and keeps the laughs coming mostly at Peter’s expense. Peter and his bestie Ned (Jacob Batalon) are the nerdiest nerds in a tech-centric magnet school filled with nerds. Their idea of a fun time is putting together Ned’s new 3,000-plus-piece Lego Death Star. They eat lunch alone except for the company of outsider Michelle (Zendaya), a brooding member of the academic decathlon team. Peter pines for Liz (Laura Harrier), the leggy captain of the team, but she seems vastly out of his league. Meanwhile, everyone thinks Peter is a bit of a flake, since he’s always disappearing due to the demands of his Stark Enterprises internship—his cover for low-level crime fighting. He wants nothing more than to be accepted as an Avenger, but Stark thinks he’s too green. Even so, Stark’s supplied Peter with a high-tech Spider-Man suit, which has enhanced his abilities, but he’s hindered from doing much other than stopping bike snatchers by Happy Hogan (John Fanreau), Stark’s right-hand man who’s been tasked with keeping Peter safe from real harm. Happy is clearly annoyed by Peter’s earnestness, so there’s some fun chemistry in the way Peter and Happy grate on one another. The real excitement begins when Peter catches wind of a criminal gang led by Vulture, who is selling weapons made of alien technology to street criminals. Stark wants to leave Vulture and his henchmen for the FBI, but Peter can’t take no for an answer, which sets up the estrangement between Stark and him, as well as the Staten Island ferry set-piece seen in the film’s trailer. It’s a very engaging story with a wholly likeable protagonist. Anna After watching the trailer for Spiderman: Homecoming, my first thought was, “Oh man, they could totally ruin this by making it way too much about high school.” My fear was quickly whisked away; the film manages just enough teenage cliché mixed with high-flying action and comedy to pull off a really fun ride. Peter’s school life and friendships are central to the story, but those things soon take a back seat on Peter’s priority list—the second the dismissal bell rings, Peter is out the door and into Spider-Man mode. He enjoys being the good guy but aspires for true super hero status and missions, pestering Happy with his goofy, nerdy charm for any chance at a bigger catch. He doesn’t want Mr. Stark treating him like a kid, but Tony’s cautiousness is for a reason—at 15, Peter still has a lot of growing up to do. Keeping the secret that he’s actually a super cool superhero proves difficult for Peter, especially when the intimidating and pretty Liz reveals her crush on the masked hero. After Ned accidentally sees Peter in his suit, he’s got a deluge of questions and ideas, ready to play the role of right-hand man. I loved those two interacting with each other, the nerdiest of the nerds, just trying to play it cool and build amazing Lego sets on the down low, but also getting invited to parties and flirting with girls. These two are adorable. Glen In contrast to the charm of Peter and Ned is Toomes, who we initially sympathize with since his salvage company is destroyed when Stark and the feds team up to create the D.O.D.C., which strips the government clean-up contract out from under Toomes’ company, putting his and all his employees’ livelihoods at risk. He decides since the government changed the rules on him, the rules no longer apply. He and his men begin stealing alien technology, creating weapons out of it, and selling it on the black market. Keaton is fantastic, and we see Toomes change from indignant victim to ruthless killer, yet he still retains humanity because his goal is to provide for his family. As villains go, Vulture is a complex and interesting one, and Keaton plays him with irreverent menace—he’s crossed the line and there’s no going back. Marisa Tomei is also great as Aunt May, a big-hearted woman who wants to protect Peter through the pitfalls of adolescence, completely oblivious to his alter ego. Zendaya also steals several scenes with her aloof, guarded Michelle. Favreau’s Happy is grumpily funny. The whole cast just works. The real surprise is director Watts, whose past work doesn’t necessarily suggest to me he’s be a good candidate to helm a blockbuster, but he delivers a perfectly paced, always engaging film. As comic book hero films go, this is a great one! Anna Keaton was a fantastic villain; Vulture is a character with shades of gray instead of just plain evil, which makes for a more interesting battle between right and wrong. His greed gets the better of him eventually, and the weapons he builds become more dangerous and deadly. Hopefully he’s slated to make a reappearance somewhere in the Spider-Man franchise future. Keaton is meant for this role. I agree that the cast gelled really well. They played off of each other and truly sold that adolescence is still awkward—even if you’re a superhero. Peter gets a taste of what the epic battles he’s been asking to be a part of are really like, and he starts to realize that enjoying things like academic decathlon team training and homecoming may not be such a bad thing in his current stage of life. But like a moth to the flame, when big trouble reappears, Peter can’t stop himself from dropping it all to once again try to save the world—or at least a small part of it. It’s a fun ride and a superhero flick that doesn’t take itself too seriously and pokes fun at the gawky, cringe-inducing teen years we were all subjected to. 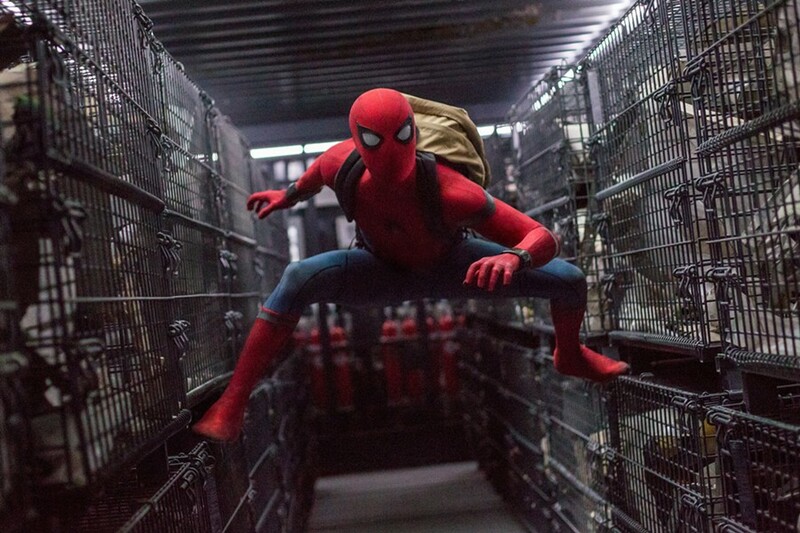 A great blend of funny, nostalgic, and action packed to boot, Spiderman: Homecoming is a winner in my book.